​Pastor Jim Moon Jr. founded Restore Life in 2007 alongside a new cross-cultural church, Crosspoint Encuentro Church in Smyrna. Restore Life was born out of a passion and mission to be a church that practically helps immigrants and under-resourced families. Jim says it is a joy and delight to see Restore Life flourishing in Grove Park alongside yet another new church and under the leadership of Danny Iverson. Jim has been in ministry for more than 30 years. He and his wife Elizabeth have been married for more than 30 years and have three grown children. He's a graduate of Norcross High School, Berry College, and Reformed Theological Seminary. Jim currently serves on the leadership team of Metro Atlanta Collective, a church planting network and works full-time as Associate Director and Coaching Catalyst of Church Multiplication Ministries. 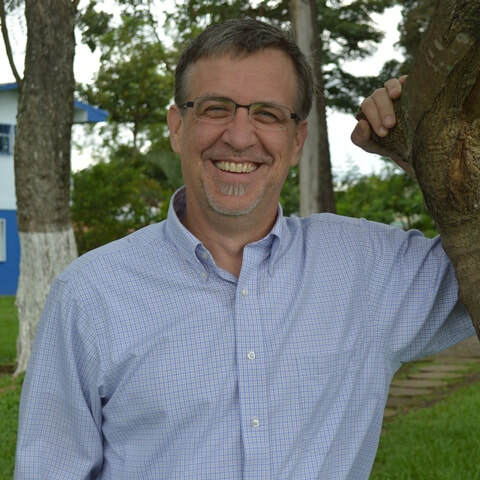 He coaches, trains and consults with church planting movements and networks in the US, Cuba, Mexico and South America.